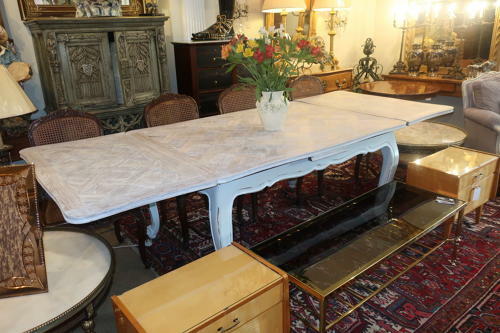 A French extending dining table in the Louis XV style of large size. Recently painted to the base and a limed finish to the oak top. A very stylish and practical table with two leaves which extend the table to over 270 cent. Or nearly 9 feet long. Good height and and excellent condition.